Since you are interested in keeping your gutters clean of debris, it’s possible that you may be wondering how gutters came to be in the first place. Believe it or not, gutters have a long and storied existence that spans several millennia. So unless you already learned all about the history of gutters in your junior high history class, here is a timeline which depicts the formation, evolution, and modernization of gutters. How did this evolve? Brace yourself — it’s pretty darn interesting. 3000BC – 1500BC: The Harappan civilization, which resided in what is now Pakistan, used water-borne toilets linked by drains that were covered with bricks of burnt clay. This is the earliest form of gutter on record. 27BC – 14AD: Start of the Roman Empire. The Romans revolutionized road-building by “crowning” them in the middle so that mud and water ran downhill, away from the center, into gutters, which carried the sludge away. 50AD – 1050: Nothing much happened. At least when it came to gutters. 1066: Norman invasion. As a result, churches, residences, and other structures are rebuilt with stone roofs and parapets. This leads to gutters that terminate in the mouths of gargoyles, which “spit” the water clear of the building. 1240: Tower of London erects a downspout, probably to protect whitewashed walls. It’s believed to be the first downspout ever built in Britain. 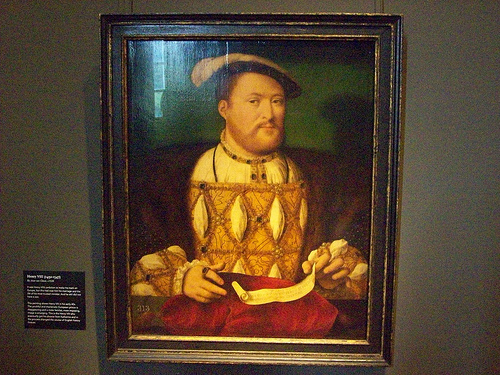 1536 – 1541: Dissolution of the Monasteries by Henry VIII (no, not with water). The closing of the monasteries, convents, friaries, and priories led to a surplus of recycled lead. The result is a spike in the market for decorative cisterns, hopper heads, gutters, and other rainwater goods. 1709: Coke is first used in cast iron, making the metal plentiful and cheap. Decades later, cast iron would replace lead as the most common gutter material. 1710 – 1750: Gutters become popular on buildings in the American colonies. The most common kind consists of two wooden boards in a V-shape and are fastened to structures with cast iron brackets or wooden pins. 1751 – 1800: Built-in gutters begin appearing on new buildings in the United States. They tend to be V-shaped and made of wood, sometimes lined with metal. It’s unclear whether George Washington ever cleaned his own gutters. 1801 – 1825: Cast iron internal downspouts are incorporated into taller and more complex buildings in the U.S. They allow runoff water to be channeled “invisibly” into underwater drainage systems. 1900 – 1925: Metal rolling machines are invented and become popular in the U.S. This enables builders to roll half-round steel gutters that are placed on the edges of buildings. 1939 – 1950: World War II accelerates the development of plastics (though soldiers preferred their bullets to remain metallic, thank you very much), and this becomes the material of choice for many postwar gutters in Britain. 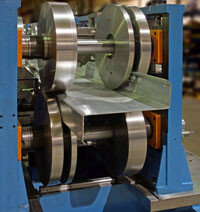 1960 – 1965: Seamless aluminum gutter machines are invented, which drastically change the way gutters are produced. Because of the strength and lighter weight of aluminum as compared to steel and other metals, about 70% of gutters in the U.S. are made this way today. 1970 – 1978: Portable gutter machines are introduced so that gutters can be transported on a trailer and fashioned at a construction site. While the workers undoubtedly listen to disco music. 1979: MIT graduate Bob DeMartini begins working on a revolutionary gutter protection system. 1981: The first of DeMartini’s seven patents for Gutter Helmet® is issued. Today: Thousands of satisfied Gutter Helmet® customers across the country never have to worry about cleaning their gutters again.